THE RED meat levy bodies in England, Scotland and Wales have announced a major programme of joint activities to be paid for by a ring-fenced fund of £2 million of AHDB red meat levies. An agreement by the Agriculture and Horticulture Development Board (AHDB), Hybu Cig Cymru, (HCC) and Quality Meat Scotland (QMS) will see a range of activity delivered in a three-way collaboration starting in 2018. This has been developed as an interim arrangement while a long-term solution is sought on the issue of levies being collected at point of slaughter in England for animals which have been reared in Scotland or Wales. The three organisations share an immediate joint commitment to collaborating to ensure levy payers across Great Britain benefit from the activities delivered using the £2 million ring-fenced fund. The agreement announced today (06 February 2018) follows 12 months of talks between the three bodies after the parameters of the fund were set out by Ministers early in 2017. This established that AHDB would set aside a ring-fenced sum of £2 million to support a programme of activities benefitting cattle, sheep and pig levy payers in Scotland, Wales and England. Jane King, Chief Executive of AHDB, says: “The three GB levy bodies share many challenges and the simple fact is we can more effectively address them through working together. 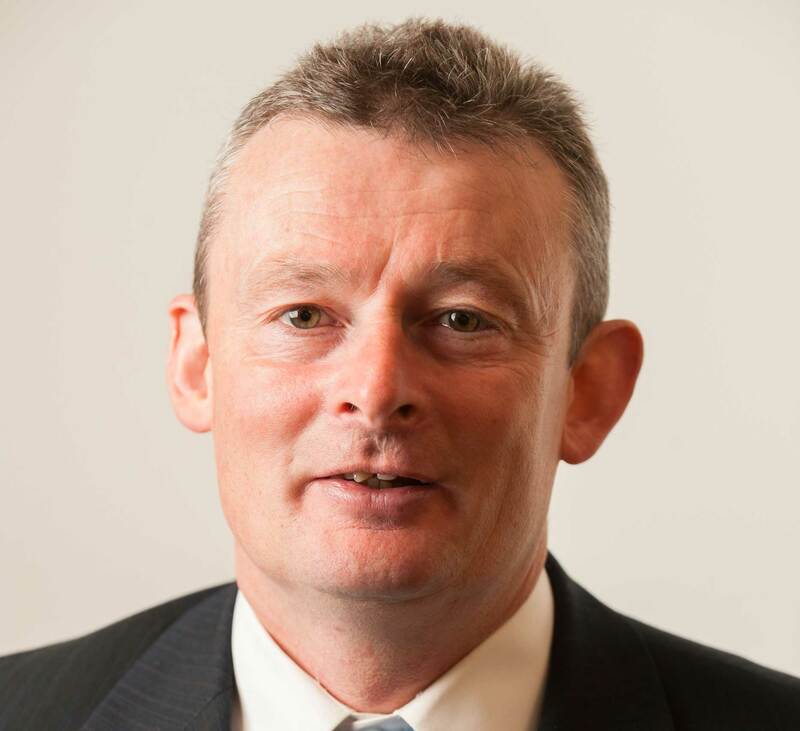 Alan Clarke, Chief Executive of QMS, said: “It is encouraging that progress has been made and that recognition has been given to the movement of livestock around GB and the impact this has on each of the levy bodies. The ring-fenced fund will boost the international presence and access for meat from Britain in key overseas markets with particular focus on preparing the red meat sector for the potential challenges and opportunities that are likely to follow Brexit. In the meat and health, animal health and environment category the three organisations will concentrate on collaborating on positive messaging to counteract negative messages, while work on antimicrobial resistance is expected to dominate the research investment. JIM EGAN has sent out a rallying cry for people to pick up their binoculars and go bird-spotting for the Big Farmland Bird Count (BFBC) which returns on Friday, February 8. The passionate organiser of the count, organised by the Game & Wildlife Conservation Trust (GWCT), is urging farmers, land managers, gamekeepers and all wildlife enthusiasts to spend 30 minutes recording what species they see on their patch of land from February 8th to the 17th. Your support will help identify the farmland birds that are flourishing due to good conservation methods and ones in need of most support. 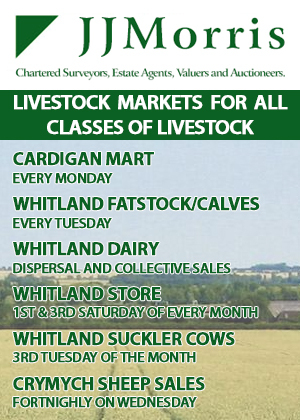 “It would be fantastic to see even more farmers to take part in the count this year,” said Jim. “Counting birds on farms is a great way to recognise what species are there as well as being an opportunity to take time out and see the benefits of work such as wild seed mix and supplementary feeding. “Taking part and submitting results enables us at GWCT to shout about the important conservation work many farmers are doing. Backing this vital citizen-science project, running for the sixth successive year, is the NFU, which is this year’s sponsor. President Minette Batters is vowing her support to the count by going bird-watching on her farm in Downton, Wiltshire. She will be joined on day one with GWCT biodiversity advisor Pete Thompson, an advocate of the count, both of whom will be ready with their binoculars, notepads and sharpened pencils, recording what they see. “I am delighted to be taking part in this year’s GWCT Big Farmland Bird Count which the NFU is pleased to be sponsoring for the very first time,” she said. “It’s becoming an important national event where thousands of farmers and growers around the country are able to take stock of and importantly, take pride in what they find on their land. “The NFU supports initiatives like the Big Farmland Bird Count as without sound management of the environment, enhancement of habitats, protection of wildlife and support for pollinators and soils, we do not have farming businesses. A record-breaking 1,000 people took part in last year’s count, recording 121 species across 950,000 acres. A total of 25 red-listed species were recorded, with five appearing in the 25 most commonly seen species list. These include fieldfares, starlings, house sparrows, song thrushes and yellowhammers. The most plentiful of these were fieldfares and starlings, which were seen on nearly 40% of the farms taking part. At the end of the count, the results will be analysed by the Trust. All participants will receive a report on the national results once they have been collated. 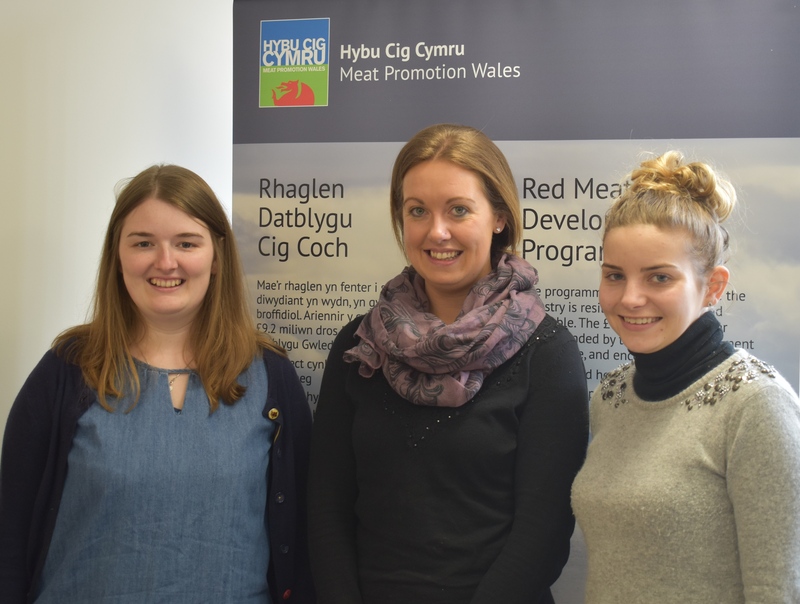 HYBU Cig Cymru – Meat Promotion Wales (HCC) has appointed two new Flock and Herd Health Officers to its ambitious five-year Red Meat Development Programme, designed to equip Wales’s lamb and beef industry for a changing future. The posts are key to delivering the programme’s commitment to helping farmers achieve on-farm efficiency and drive best practice in proactive animal health planning. The programme is supported by the Welsh Government Rural Communities – Rural Development Programme 2014 – 2020, which is funded by the European Agricultural Fund for Rural Development and the Welsh Government. Lowri Reed hails from a farming background near Llanon in central Ceredigion, whereas Lowri Williams is from Llanfihangel y Creuddyn near Aberystwyth, and is a graduate in Animal Management and Welfare from Harper Adams University. Dr Rebekah Stuart, the coordinator of the Flock and Herd Health Project at HCC, said: “We’re delighted to have recruited two officers with experience and knowledge of agriculture and flock management to this important strand of work. “There are few things that can have as great an impact on the efficiency and bottom line of a livestock enterprise as a proactive and coordinated approach to animal health and eradicating disease. A NEW advanced training centre in agri-food robotics will create the largest ever cohort of Robotics and Autonomous Systems (RAS) specialists for the global food and farming sectors, thanks to a multi-million-pound funding award. 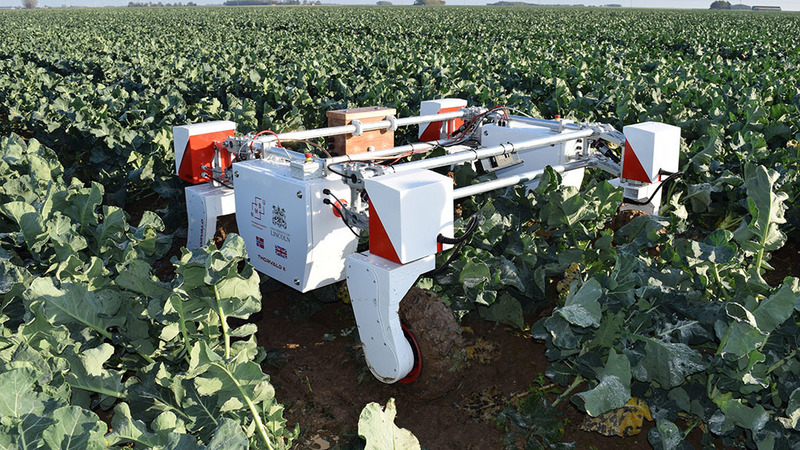 The world’s first Centre for Doctoral Training (CDT) for agri-food robotics is being established by the University of Lincoln, UK, in collaboration with the University of Cambridge and the University of East Anglia. The Engineering and Physical Sciences Research Council (EPSRC) has awarded £6.6m for the new Centre which will see a massive influx of high-level robotics expertise at a vital time for the agri-food industry. The CDT will provide funding and training for at least 50 doctoral students, who will be supported by major industry partners and specialise in areas such as autonomous mobility in challenging environments, the harvesting of agricultural crops, soft robotics for handling delicate food products, and ‘co-bots’ for maintaining safe human-robot collaboration and interaction in farms and factories. Professor Tom Duckett, Professor of Robotics and Autonomous Systems at Lincoln, is the new Centre Director. He said: “Automation and robotics technologies are set to transform global industries – within the UK alone they will add £183bn to the economy over the next decade. “Agri-food is the largest manufacturing sector in the UK – twice the scale of automotive and aerospace combined – supporting a food chain, from farm to fork, which generates a Global Value Added (GVA) of £108bn, with 3.9m employees in a truly international industry. “However, the global food chain is under pressure from population growth, climate change, political pressures affecting migration, population drift from rural to urban regions, and the demographics of an ageing population in advanced economies. At Lincoln, the CDT represents an important partnership between robotics researchers from the Lincoln Centre for Autonomous Systems (L-CAS) and agricultural experts from the Lincoln Institute for Agri-food Technology (LIAT), as they work together to combat these pressing issues facing the global food chain. Professor Richard Harvey, Senior Lecturer in Computer Science at UEA, added: “Agriculture remains an important and atavistic activity in the UK but it the most dangerous of all the main UK industry sectors. Given that, isn’t it astonishing that so much effort is devoted to robots for driving and delivering parcels to your door? The Centre brings together a unique collaboration of leading researchers from the Universities of Lincoln, Cambridge and East Anglia, together with the Manufacturing Technology Centre, supported by leading industrial partners and stakeholders from across the food, farming and robotics industries. These include John Deere, Syngenta, G’s Growers, Beeswax Dyson, ABB and the Agricultural and Horticultural Development Board.